Upcoming — Love. Heal. Thrive. Only good, functional circulation ensures proper supply of nutrients and oxygen, as well as proper waste removal within the body. This is fundamental for ALL metabolic processes. This practice supports the most powerful triad of health: Oxygenate, Nourish, Detoxify. With regular use, Bemer enhances blood flow, impacting the body’s nutrient and oxygen supply, as well as waste disposal. This benefits cardiac function, physical fitness, endurance, strength and energy. Bemer has also shown to improve concentration, mental acuity, stress reduction and relaxation, having a profound effect in sleep management. When adding the intake of nutritionally dense foods to this level of microcirculation stimulation, the benefits of nutrient delivery to the cells can be extremely maximized. -Basic fundamentals on proper nutrition and hydration, based on “The Art of Eating for Me” model. -The opportunity to relax, be present with your body, and be supported in your healing journey. *Based on client’s history, at the discretion of the Bemer practitioner. More is not always better. 45 minutes for only $49! Come for a unique session infused with self-healing activators! and BE SURE TO CHOOSE A SESSION THE DATE OF THIS OFFERING. Claudia offers an exquisite approach of Sacred Nutrition to achieve Health Freedom. Through exceptional nourishing experiences that feed the inner child and Highest Self, Claudia will help you awaken and nourish your Timeless innate healing essence. It is time to reclaim your own fountain of youth and vibrant energy, for the freeing life experience you are meant for. *Profound Food Play circles, classes, training, including Leche de Gaia Ceremony - personalized! Finally! The Chakra Series is on-line! Join me for this incredible 8-week journey as we dive into the hurts and challenges that have been holding you back from living your very best life. I am so thrilled to be leading this class in an integrated format where you will watch the class and meditation videos on your own and then we come together as a class every Friday to connect, share and heal as a group. I honestly could not be more excited that those of you who have asked to join from afar can finally participate! Are you ready to step into the REAL you? Join Laura Barton for a deep healing experience. All you need is an open mind and the willingness to invite growth and expansion into your being. Do you feel you take on other people's emotions after conversations? Do you find yourself exhausted and emotionally depleted after being in crowds? Would you like to learn some powerful techniques that will help you remain energetically sensitive, yet independent? Back by popular demand, this incredible, interactive class is going to help you feel grounded, powerful and uninterrupted by others' feelings and emotions. Join us for this 3-hour workshop where you will learn and experience different tools and techniques to keep your energy protected and strong. If you are an empath and you work with many different clients or are often around large groups, this class is for you. You will leave feeling empowered, strong and prepared to be around others while maintaining your own energy. What are past attendees saying about this class? You are invited to have the best Valentine's Day you have ever had! In this 2-hour class, we will learn about the historical roots of Valentine's Day, why it doesn't always turn out, and what to do about it. 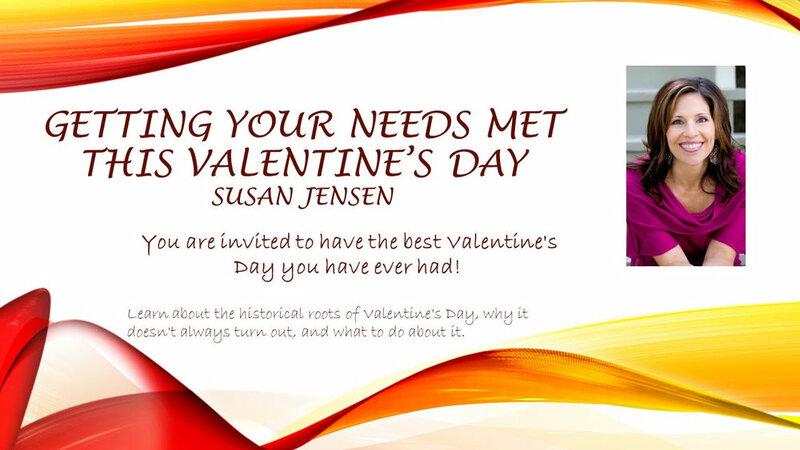 Learn how to ask for what you need and open yourself up to receiving your best Valentine's Day yet! We will close with tools to create an abundance of days like this ALL YEAR LONG! By popular demand, we are hosting one more vision board event so if you haven't made your board for 2019, here's one more chance. Join us for a morning of vision board creation and manifesting! When you focus the energy of a group on what you'd like to bring into your life, it strengthens and magnetizes the intention. Join us for a spectacular event of releasing 2018, defining what you want this year and bringing your 2019 goals to life. Ladies! Join us for an incredible morning of vision boarding and manifesting the 2019 you want! We will bring our energy into our manifesting state, create our vision boards, and then energize each of our vision boards with the collective group energy of all the women there. Last year's vision board was incredible, and this one will be even better! I look forward to guiding you toward your best year yet on this very incredible day of manifesting 1.11.2019! Join us at 11:00 am on New Year's Day for a FREE Community Facebook Live Mediation to bring intention to your coming year. For those who are able to attend in person, please join me at Love.Heal.Thrive. If you would like to attend virtually, please like the Love.Heal.Thrive. Facebook page (Please link the FB page here) so you can be alerted to when we are Live on January 1st! I look forward to starting the year off with you in person and on-line! Please arrive at 11:00 am! Doors will close at 11:10 am and we will begin our mediation at 11:11am. End your weekend feeling more relaxed and calmer with an hour-long Alchemy Crystal Singing Bowl Meditation. The bowls are pure crystal quartz blended with a variety of gemstones and precious metals that provide a unique sound and healing experience. For those who are new to meditation, this is a great way to start because the bowls will help quiet the mind and allow attendees to stay focused. For those who have been meditating for a while, the Alchemy Crystal Singing Bowls deepen and enhance the practice with their healing properties. The room will also be filled with the soothing smells of a custom blend of essential oils to help attendees relax even deeper. Please wear comfortable clothing, bring a yoga mat, pillow and blanket. The sound bath will consist of a short-guided meditation, crystal bowl sound therapy performed with 14 Alchemy Bowls, 10-minute silent meditation and finish with a glass of charged water from one of the bowls, feel free to bring your own water bottle if you wish to take some home. Join us for this intimate and self-reflective workshop that takes you through many different healing activities that will help you begin to process your grief in unique and original ways. This 2-hour workshop will help you journal through your emotions and then meditate on those emotions to release them and heal them. This will help you support yourself through this healing process and allow you to see your grief in a new way. Do you want to take your chakra healing to a new level? Learn how to utilize a variety of crystals and essential oils to enhance your chakra vibrations. Class includes: class, chakra crystal kit and meditation. Are you struggling with intimacy in your relationship? Would you like to feel closer to your mate? Then join us for this amazing hypnotherapy journey where you will discover the Archetype within your subconscious that will help you to reach the level of intimacy and connection you’ve been looking to experience in your relationship. 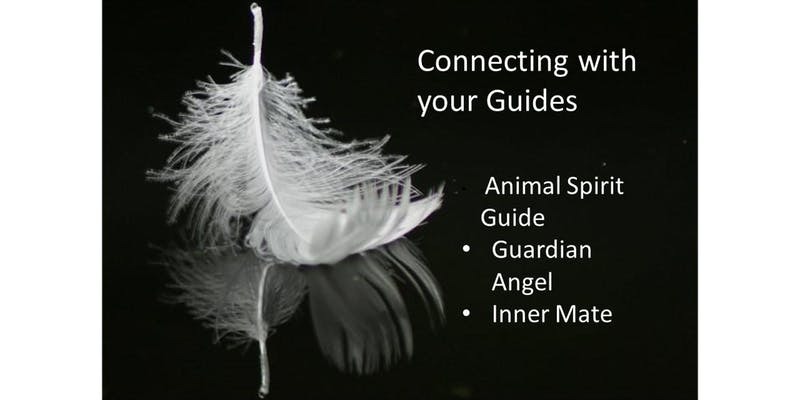 As a group, you will reach a level of relaxation that will allow you to dive into your subconscious and find your relationship Archetype and discover and heal relationship blocks and triggers. This is going to be an incredible session that will illuminate many layers within your relationship. Come join us for a fun filled time while you easily learn how to read and analyze your own palm as well as others. We will print our hands and find traits "written" on our palms by discussing the elements and structures of our hands, along with the meaning of each finger and fingerprint. Get to know yourself, family, and friends on a much deeper level by simply studying their hands, fingers, and even fingernails. The accuracy will blow you away! This class includes our instructor, Janet M. Perez', first self published book, Vedic Palm Reading, Volume 1. Join us in this sacred and exquisitely enlivening ritual! Inspired by Cacao Ceremonies, Ayurveda and in combination with Feng Shui elements, Claudia has brought together her conscious eating principles and her nourishing vegan elixir, Leche de Gaia, to activate, elevate and celebrate the healing magic of YOU. for an ultimate experience of Health Sovereignty. *Seasonal, Organic, Unrefined, Local. Leche de Gaia is a vegan, gluten free, soy free product. A 7-week evening course that will give you an understanding of ALL men: boyfriends, husbands, fathers, sons, brothers, and male co-workers. This course will rock your world! You will gain an extraordinary understanding of men from the 25+ years of interviews and research conducted by PAX Programs, Incorporated. UNDERSTAND who men are, what they are capable of, who they are great for, what things bring out their worst, and what things bring out their best self. HEAL/RELIEF Heal current/past hurts. Experience relief from pain caused my misunderstandings and disempowerment. GAIN tools to create loving, fun, satisfying relationships. Learn how to get what you need with much less effort while staying in partnership. CONNECT with other women and your workshop leader. Learn how to stay connected to men in your life. HAVE FUN while learning with your workshop leader and other women in this intimate setting. FALL IN LOVE WITH MEN and immediately see them in a new light. You may even find his previously annoying qualities to be adorable. MOST IMPORTANTLY fall in love with yourself as you are right now, not who you will be someday. As you fall in love with yourself, feel your confidence shift, which is the #1 most attractive quality in a women. Workshop is 100% Money Back Guaranteed! There will be no make-up sessions for this workshop. If you are unable to attend and you would like to make-up the class, you can schedule coaching with Susan Jensen (your workshop leader) at a discounted coaching rate of $100 per session (regular rate is $150 per hour). There is not a class credit reimbursement. If you complete the course you will be considered a graduate of The Queen's Code Workshop and will be eligible to sign up for additional online and live courses with PAX Programs, Incorporated. Energy Boot Camp- Chakra Series is back! balance each chakra as well as participate in a 30-minute guided healing session and meditation. In addition to all of the tools you will receive in class, a private Facebook page will be created and each class is posted onto the page so you will never miss the content or class discussion. excessive, deficient or balanced chakras in your life. higher level. This is so much more than just a meditation class.I can't wait to journey with you. $344- Early Bird Pricing Available before Friday, Sept 1st. What are people saying about Energy Boot Camp's Chakra Series? "The universe works in the most marvelous ways... after running into Erin and learning about her classes I was intrigued but didn't necessarily know what I was getting into. After my first class, I was eager to apply the lessons learned in class every minute of everyday... I wanted to learn more about cleansing my chakras so the energies could just flow freely through me as they were meant to be. One chakra, one week at a time was the beginning of my spiritual journey. It felt like there was a light switch that just turned on and things started falling into place. Week by week I am learning more and more about who I am and what makes my soul happy. Life changing! Any chance I am in town and can attend Erin's class... you can find me there. Thank you Erin for being you and sharing this beautiful journey with us. #selflove" ~Danielle D.
"I came in to Erin's course as a bit of a skeptic, but with an open mind and came out the other side as a believer. Erin is doing what she was meant to do. She is enthusiastic and passionate about the knowledge she's gained. The understanding of my chakras and the meditation techniques I was taught are now a part of my everyday life. There is so much more to learn and I look forward to being involved in Erin's classes from this day forward!" ~Cathy G.
"I love this center and Erin is truly amazing. I took her 8 week Chakra course with a dear friend and it was invaluable. I have such a better understanding of how to heal myself through understanding the different Chakras. Erin gives you so many tools to work with that you are empowered and just feel good after every class. I could not wait to go every Tues and I'm really sad the course is over. Erin has a true gift and creates a space that allows you to open and heal. I can't wait to take more courses." ~Jamie L.
This 6-hour workshop will take you through the chakra system through the lens of qigong. You will learn the basic knowledge of the chakra system and complete qigong exercises that will open and strengthen each chakra, including a complete qigong exercise that opens them all together. It's going to be an incredible workshop, and you will leave feeling energized, balanced and empowered. Alex Trevisan has been studying qigong for over 30 years and Erin Garay has been teaching her Chakra Series for over 3 years. Together, this team of teachers will help you to find strength and balance in your life. Do you find yourself exhausted after being in crowds? Do you feel like you take on other people's emotions? Would you like to learn how to use this gift as one of your greatest assets? Then join us for this incredible class that will give you the tools needed to thrive in any environment. Back by popular demand, Empath Tools 101 is going to help you feel grounded, powerful and uninterrupted by others' feelings and emotions. Join us for this 3 hour workshop where you will learn and experience different tools and techniques to keep your energy protected and strong. Making Sense of Men is a 2 hour seminar for you to hear pieces from an advanced PAX Programs course, The Queen’s Code for Relationships (formerly know as Celebrating Men and Marriage). http://www.understandmen.com/ During this event, you will learn the answers to these questions: 1) What has men want to take care of us vs. take off our clothes? 2) Why do relationships start out great and fizzle out? 3) How can women decode mixed messages from men (romantic, familial, and professional)? 4) How can I turn around a relationship that is failing? 5) What are men looking for in relationships with women? CHECK-IN DETAILS: Check in begins at 6:30 PM Please arrive early as seating is limited to 12 women. The workshop begins promptly at 7:00 PM and ends by 9:00 PM. PARKING INFO: Parking is available one block north on El Camino and on Morse Street. Join us to celebrate Love.Heal.Thrive. 's 1st Anniversary! It's been 1 year since we opened our doors to the San Carlos Community and what a year it has been! Abundant teachers, abundant classes, abundant loving, healing and thriving! Come together and celebrate as a community all that has happened this year and hear directly from the teachers themselves the amazing classes they have planned for you this Fall! Join us for celebration, fun and community! Have you been struggling with Anxiety? You are not alone. It affects almost 40 million Americans. Mediation is believed to be as effective as drugs are at healing anxiety. Join us for an evening of understanding how anxiety works energetically within your body and begin learning the tools and techniques you need to empower yourself to heal. This will be an incredible night of awareness, learning and healing. I look forward to seeing you there. Have you seen the same challenges afflict multiple generations in your family? Does a certain struggle keep showing up in your life? Then join us for a morning of learning more about the powerful Ho' oponopono Blessing, its history and how you can use it to make right what is not right in your life now. As a group, we will use this prayer together to help the whole group heal and release what does not serve them in their life and throughout their family lineage. The Ho' oponopono is A Hawaiian practice of reconcillation and forgiveness. This will be a beautifully healing morning, and I look forward to sharing it with you. We are all always in pursuit of peace and happiness... who knew it could be as easy as tracking the moon cycles? Lunar tracking assists us with regulating our lives and allowing universal wisdom to work as a natural time keeper allowing the Ebb and Flow of life to happen for us, and not to us ! Come enjoy a 4 week series with Angela Rodriguez where you will learn about the (8) major moon cycles, and how you can utilize them to be the best YOU. Fun will be had while you learn how to lunar track, which crystals to use during each phase, the best foods to eat as well as when to fast, journaling, mini meditations and more. That which we are unable or unwilling able to forgive binds us, but some things seem difficult, if not impossible, to forgive. This workshop will take you on a journey of discovering a different paradigm of forgiveness, one that has nothing to do with pardoning or condoning behavior. At this workshop set yourself free from "what happened" as you are guided through self-exploration and exercises, and learn simple, easy tools to adopt a new empowering paradigm about yourself and your life experience. Discover the meaning of “You are truly free when you realize there is, and never was, anything to forgive”. Get your weekend started off right and join us for a community meditation from 12pm-12:50pm. Please RSVP to erin@lovehealthrive.com to attend. Much love!